34 suites make up the six storey building named the Worx in King St West. 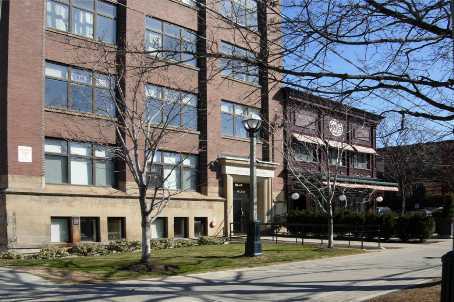 Located at 436 Wellington St West (West of Spadina), the Worx was originally built in 1915 and was called the Croft building where fancy goods were manufactured. In 1948 the Croft was renamed the Monarch building where conveyor belts were manufactured. The warehouse was then converted into loft style condo units in 1998. The Worx building is designated as a heritage building. The suites are open concept and feature 10.5ft or 11 ft ceilings, exposed brick, large warehouse style windows and exposed wood columns and ceilings. The top two floors (5th and 6th) offer 2 storey penthouses, each with their own terrace. Parking is outdoors. Suites range in size from 980 sq ft to 1800 sq ft. The Worx building features a security system. Pets are allowed.